Today's post really isn't about interior decorating (at least, not in an obvious way). Rather, it's a story that took place while I was working at a home decor store several years ago. I still love to share this story, in all its awkward glory. A few years ago, I had a a part time job, while I was going to school, at Pier 1 Imports. It was probably the most ideal job for me at the time- it was walking distance from my home, and I pretty much spent all my free time shopping there, so I might as well make some cash while I browsed the selection, right? The annoying: they made me dress super nice for work and take out my piercings. But I guess that comes with the territory. And ultimately, it was worth the 20% discount (which, I managed to combine with other offers, and occasionally walked away with candles and other merchandise for next to free!). During the meetings, we'd discuss new product, upcoming sales, and that sort of thing. 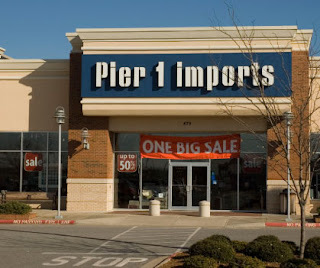 And the meeting would end with some positive thing that Pier 1 was doing in the community. And this particular month's theme was Susan G. Komen for the cure. Firstly, I was the only guy that worked there (I'm pretty sure in the entire history of the store. Since then, only 1 more male has ever been hired). I know that part of the reason of why I was hired was because of my extensive product knowledge (particularly the candle department), but there was an underlying tone of sexism attached to me working there- they wanted to hire a guy that they could use to climb ladders, to lift heavy product, and to do the grunt work. Bah! I mean, some of the women that worked with me were beef-ier and much stronger, but Pier 1 is a woman's world. 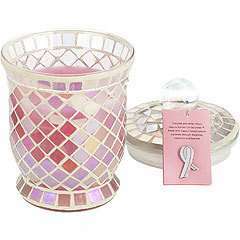 Secondly, if you're unaware of Susan G. Komen for the cure- it's a campaign hosted by Pier 1, once or twice a year, in which they sell a special candle, and all (or most) of the proceeds go to breast cancer research. It's an awesome cause, but again, this is a woman's world. I'm not meaning to diss on breast cancer. I know there are many tragic losses out there, and many brave survivors of it. Just wanted to share an awkward story from a guy's perspective. She says "Breast cancer is a very real disease out there. And many women are ignorant of how to give themselves a self examination. We're now going to walk through a simple demonstration of how to self examine for the cancer. I want you all to follow my lead and walk through this with me." All eyes turned to look at me. Some started to self examine. One lady spoke up: "I think I feel a bit uncomfortable to self examine in front of a man". Another said: "I think that men should know about breast cancer, and I think he should stay". And they began bickering and yelling at each other over whether or not a man should be involved in breast cancer. Two ladies stood up and were talking down at each other from across the table, pointing fingers and shouting. And I politely asked to be removed from the activity. "Uhhhh... this curriculum wasn't written with males in mind...." the store manager stammered. But, because it was in the curriculum from head office, I had to stay. Worst. I simply adverted my eyes and focused on some candles. Probably the most awkward 5 minutes of my life. Awesome cause. Not so awesome scenario.